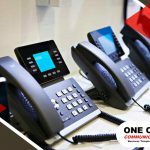 Compared to traditional telephone systems, Voice over Internet Protocol (VoIP) telephony has unbeatable advantages. Affordability is its biggest claim to fame, but its portability, thanks to its wireless nature, is a benefit many business professionals love. Packed with amazing features, VoIP phone systems are easily scalable to adjust to dynamic needs. The usual criticism that critics say about VoIP is they notice occasional poor voice quality. 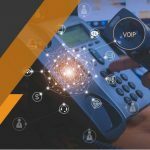 Although calls made on VoIP are usually crystal-clear, the audio might sometimes sound scrambled, late, or subdued for various reasons. First of all, use a router that prioritizes VoIP traffic over other Internet data communications. Typical routers usually don’t have enough processing power to protect from voice quality from other network users. It’s imperative to economize bandwidth to keep VoIP audio as good as possible. Reducing the number of startup applications on computers and performing software updates during after-hours are good practice. If none of that solves low-quality VoIP calls, ask your Internet service provider to boost your bandwidth capacity instead. Does your phone run at high GHz frequency? It might produce interference. If you still have a 5.8-GHz phone, replace it with a 2.4-GHz one to experience less interference from other nearby devices. To truly have the best possible voice calls on VoIP, invest in a corded or USB headset with noise-canceling capability. Unlike their wireless counterparts, they’ve been proven to deliver more stable sound quality. 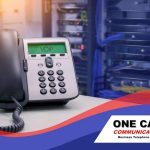 One Call Communications offers access to an impressive range of VoIP telephone systems on the market. 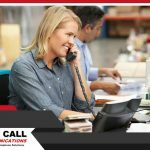 Whether you only want standard features or need all the bells and whistles, you can rely on us to satisfy your unique communication needs. Contact us at (888) 323-0557 in Raleigh today to learn more about our business phone services. Filed Under: VoIP Tagged With: VoIP telephone systems are not immune to audio quality issues. Learn expert tips to enjoy better business calls on VoIP.